Hello! If you follow me on anywhere on social media, you'll probably know I've just come back from 5 days in Amsterdam. 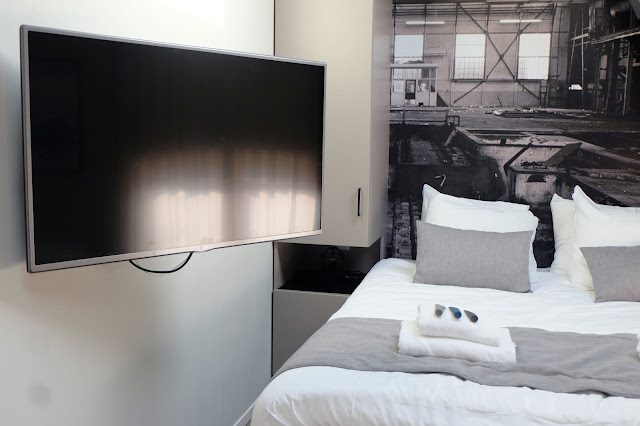 It was the most amazing trip, and I have so much to tell you all about the beautiful city, so I thought I'd start with the apartment we stayed in for the first two nights! 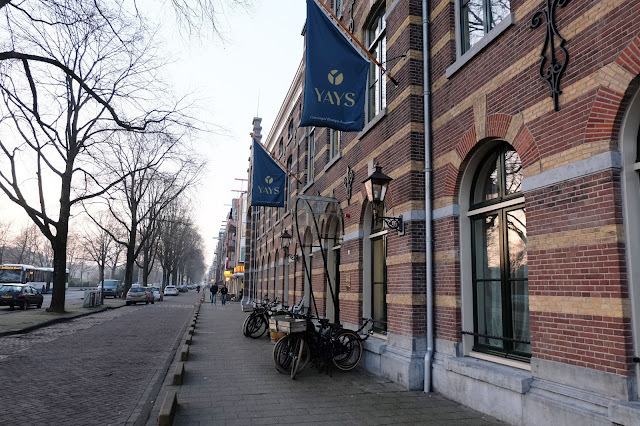 Yays are a company that have three apartment buildings in Amsterdam, all of which are in neighbourhoods outside of the centre of the city, so you really get an authentic look at Amsterdam without all of the touristy stuff. 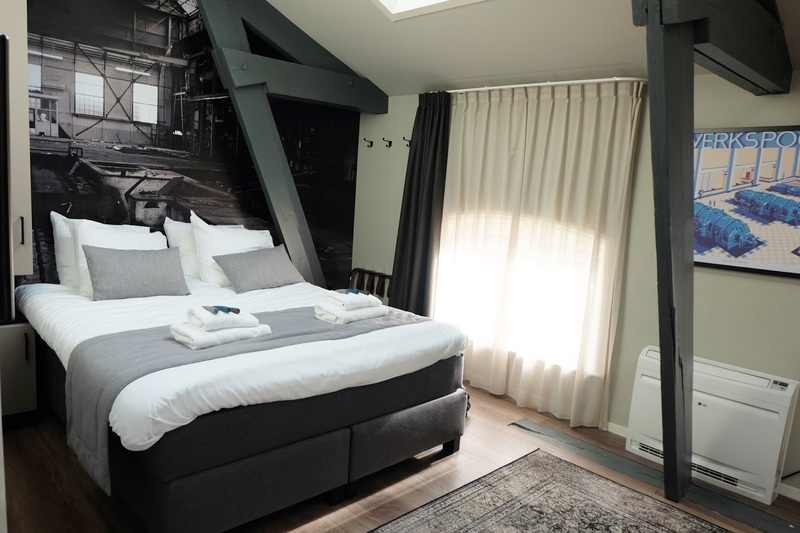 Each building is historical and has been restored to an amazing standard, and the apartment we stayed in was in Oostenburgergracht and the building used to be an old mill! We stayed in one of the studio apartments and it was so gorgeous! 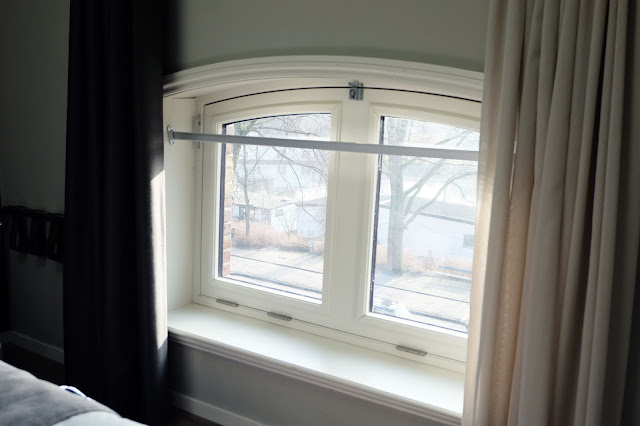 It was really bright thanks to the two velux windows (which had remote control blinds) and I just loved the decor. Behind the bed was a picture of what the building used to look like which I thought was really cool, and the original beams from the building were another very pretty addition to the room. The apartment featured a flat screen tv which was on a hinge that could be pulled out from the wall in either direction, so if you were sitting at the table or if you were in bed, you could watch it. The apartment had a everything you could need, a dishwasher, a fridge freezer, a microwave oven, an electric hob, it even had a Nespresso machine! 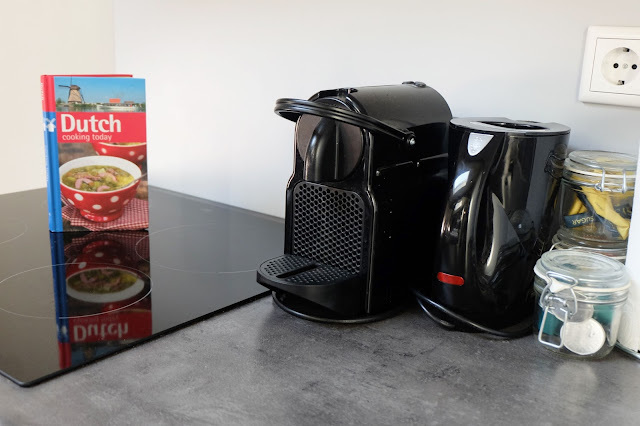 Since we were only there for two nights, we didn't get a huge amount of use out of the kitchen, but I'm sure if you were staying for a little longer, or just wanted to have some home cooked food, it'd be perfect! There was also a supermarket just around the corner so it's really handy to pick up anything you might need. Like I mentioned at the start of this post, Yays are all about seeing the less touristy parts of Amsterdam, so when we arrived we were given a map of the city and all of the best, more local places to visit were pointed out to us, which I really loved. We spent the first two days of our trip walking around the city, exploring all of the beautiful streets and it was such a brilliant introduction to what is now my most favourite place I've ever been. At the end of the road in Oostenburgergracht, there was a windmill and we found out that it used to be an old brewery and that there was a bar there so on Sunday night we headed up for a few drinks instead of heading into the city centre and it was such a lovely night. We chatted to the barman about Amsterdam, music, the old brewery and I much preferred the relaxed feel of the bar to the business of central Amsterdam. Even though the apartment was out of the city, away from all the tourist shops, it was still only four bus stops from Centraal Station, which was really convenient. Yays also have bikes that you can rent while you stay there and what better way to see Amsterdam than on a bike! 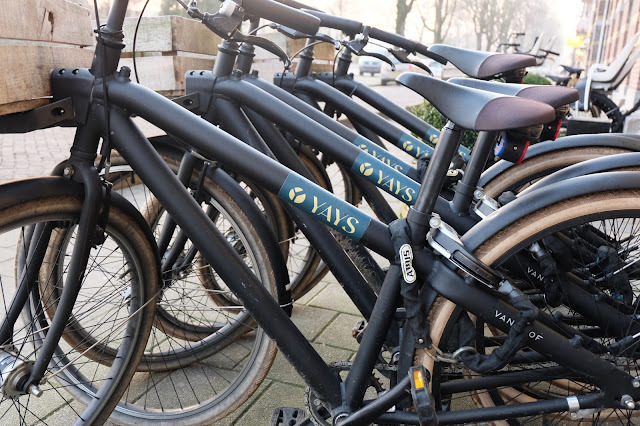 If you're planning a trip to Amsterdam and would like a more authentic look at the city, and discover some of the local hotspots then I'd really recommend Yays! 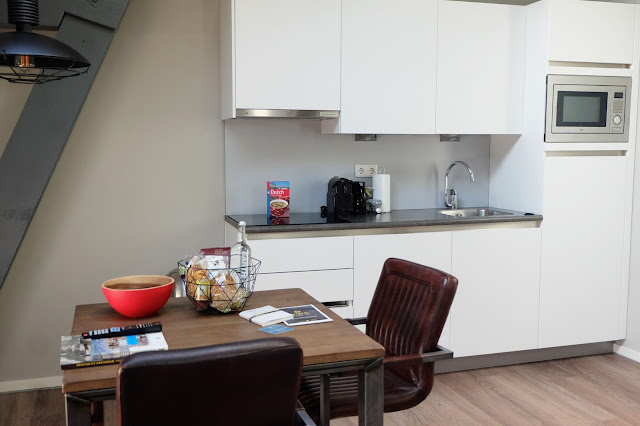 Their website can be found here, and they have a few different types of apartments to choose from, so if you're travelling with a group, they cater to that too!